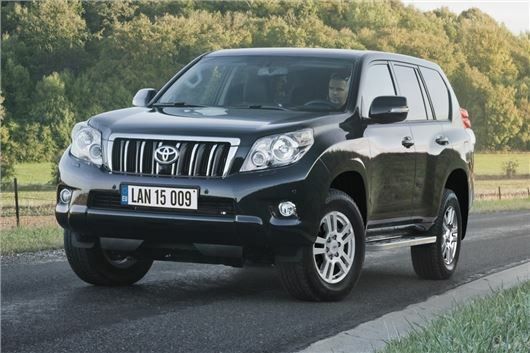 Toyota has updated the big Land Cruiser with a new 2.8 D-4D diesel engine replacing the 3.0 D-4D. At the same time, the big 4x4 gets new standard equipment including DAB radio. Prices start at £35,895 for the three door while the five-door is an extra £1800. Despite being smaller in size, the 2.8 D-4D engine is actually more powerful with 174PS and 420Nm of torque when combined with the standard six-speed manual gearbox. Opt for the new six-speed automatic and you get an extra 30Nm of torque available from low down the rev range. The new automatic means better economy with a claimed average of 39.2mpg and 194g/km of CO2 for the five-door model. Toyota has also re-introduced the entry-level Active trim, which now gets DAB radio. The options list includes Toyota Touch 2 with Go - the useful navigation and toushscreen system. Leather seats are also available as an option. On three-door models this includes heated front seats and leather door trims while on the five-door Active it comes with power adjustment for the front seats and triple-zone automatic air conditioning, although it will set you back £2795.